Election season is in full swing in Santa Monica and it promises to be an exciting one. But, like in most places around the country, Santa Monica’s younger residents are dramatically underrepresented at community meetings and at the ballot box, at least when it comes to local elections. From approving new bike lanes to making sure the schools are well funded to making sure enough housing and jobs are created in the city, the decisions that local representatives make can effect your life in very real ways. Make sure your voice is heard! Register to vote today at your current address. We know local politics can be confusing, especially if you are new to town, so we’ve got you covered. Throughout the election season, we will be holding Vote Local mixers, at which young Santa Monicans will have a chance to mingle over drinks and food while talking about the local issues important to them. In addition to hosting mixers throughout election season to discuss the issues, you can follow us here for updates about the issues and the candidates for local positions on the City Council, Rent Control Board, School Board, and College Board of Trustees. 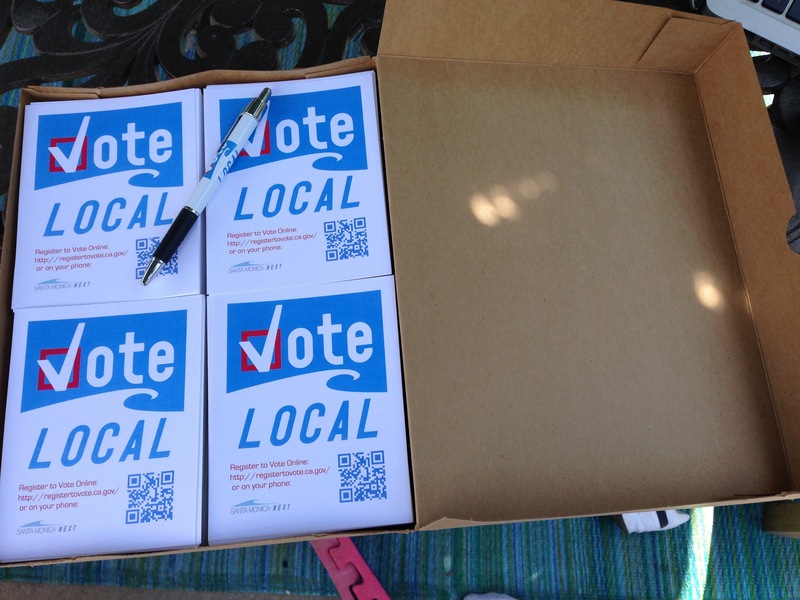 Want to get involved with our Vote Local campaign? Send an email to [email protected] to find out more. Six of the eleven candidates, filled out our candidate Q and A sent out this summer. You can see their answers to a range of questions below. Thanks to Terry O’Day, Mende Smith, Ted Winterer, Gleam Davis, Jon Mann and Terrance Later for taking the time to help inform our readers. How the city can fight Climate Change. Santa Monica Next is part of the 501c(3) Southern California Streets Initiative and as such cannot endorse political candidates. However, we can endorse ballot measures and have taken a position on four of them this election.